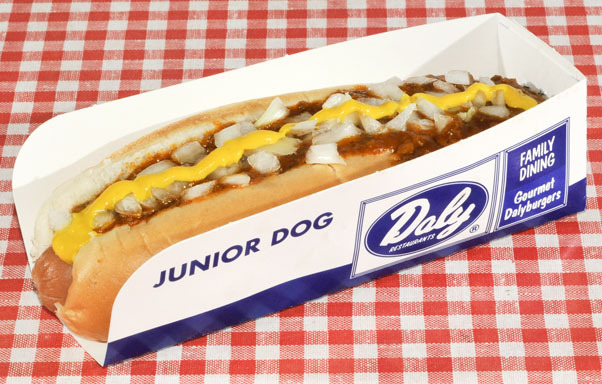 Our famous coney is the biggest and best in town! Quarter-pounder Michigan grade hot dogs, a foot long and covered with spicy coney island sauce, mustard and diced onions. You'll love it! A Daly guarantee. Complete your meal by adding French Fries and cole slaw for only $3.00 more. Everything reduced but the flavor. Great with fries.